← Digital Newsletter Monday 10 February 2014 – The Rising Damp edition (fingers firmly crossed). As our school community knows, Jeff Watkins, Headmaster of our Junior Boys school is to retire at the end of this academic year, and his successor is Justin Spanswick, currently Assistant Head (Pastoral). Jeff and Justin are working really closely, together with Deputy Head Susan Payne and Judy Nott, Assistant Head (Timetable) to ensure we have a smooth transition. I am delighted to announce that Eric Leuzinger has been promoted to take over as Assistant Head (Pastoral) with effect from September. I commenced my teaching career at Claires Court with Mr Leuzinger present in my Year 7 Science class in 1975, I taught him quite a bit of what he knows, and we shared a love of practical gadgetry! After Claires Court, Mr Leuzinger completed his secondary education at RGS High Wycombe, before putting his love of the scientific and technical to work in the Air freight, Construction and pest control industries. 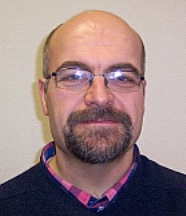 It was clearly his last experience that took him to University (Westminster College, Oxford) as a late entry into teaching, and he started work with us as a Year 6 teacher in 1999. He is married to Lynn (also a primary school teacher) and their son Jake is a graduate of both CCJB and CCSB! I am sure those who know Mr Leuzinger will be delighted for him, and for the school at large. He is a remarkable practitioner, interesting, interested in his pupils, firm and fair. 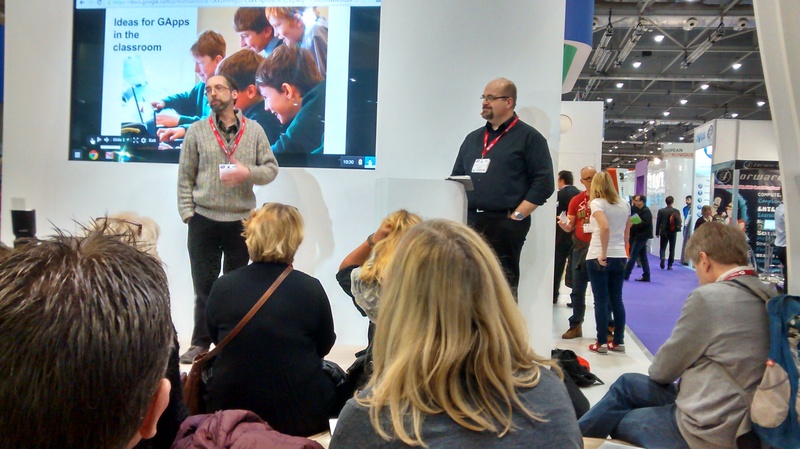 Here is Eric, i nvited to present from the Google stand with Chris Rowan at BETT this January on collaborative working using cloud technologies. A big thank you to all those parents – over 100 of you – who visited our exhibitions two weeks ago and gave us valuable feedback. Your insights are already informing the architectural team as they develop alternative design concepts in this phase of the development. Many of you also kindly completed a short questionnaire about the project. I don’t think it will come as a surprise that an analysis of the early returns shows us that you think the most important aspect of the project is to provide a better environment for teaching and learning just ahead of the concept of a single campus destination. Interestingly more of you put consideration for the wildlife slightly ahead of designing energy efficiency and sustainability into the new buildings! Also it does appear that if you are a parent of a senior boy or girl you are slightly more relaxed about the opportunities for boys and girls to mix away from the classroom. For every parent who visited there were about 7 families who weren’t able to come and see our exhibition. We would like you all to be able to do so and have therefore set up a special website<http://www.clairescourt-consultation.co.uk/> – with the details from our display boards. One of the webpages has a timeline which will help you understand how our consultation will progress. You will also be able to share your own thoughts about these proposals by completing the short questionnaire online. This entry was posted in Uncategorized and tagged development, leadership. Bookmark the permalink.